Zisis Kozlakidis, the past president of the International Society for Biological and Environmental Repositories, considers how to effectively confront the challenge of sustainability in biobanking. In the last couple of decades, rapid advances in genetics, the growth of translational research, and an increasing trend towards personalised medicine have fuelled an explosion of biobanking activity around the world, generating new opportunities and challenges for researchers, funders and operating bodies alike. Not least among these challenges is the issue of sustainability in biobanking, which is forcing stakeholders to consider how best to streamline operations, improve cost-effectiveness, and enhance management and environmental accountability. Working against this background is the International Society for Biological and Environmental Repositories (ISBER), a global forum committed to harmonising biobanking practices and facilitating opportunities for networking, education and innovation. Health Europa caught up with ISBER’s past president, Zisis Kozlakidis, to learn more about the sustainability challenge facing biobanking and how it can best be addressed. How would you define sustainability as it relates to biobanking? Sustainability in biobanking can be defined in my view in two ways. It comes down to the question: what is the purpose of a biobank? If you think of biobanking as a service – to the pharma industry, research institutions etc. – then the issue of sustainability comes down to a straightforward question of supply and demand. Can the biobank supply enough material to cover the demand and through that make itself sustainable? However, a lot of the biobanks that are being established have a much greater role than that. They are supposed to underly the generation of knowledge. Determining where the value comes into that in order to create an argument about sustainability is therefore more complicated. To give a specific example, certain biobanks only operate on a prospective model, i.e. they receive a demand, provide a quote for their services, and, if that is agreeable to the institution that has created the demand, agree on the final price and move ahead. That model exists and has worked very successfully, but it does not represent how the majority of biobanks operate. Most biobanks work according to much longer timescales, and they need to represent what’s happening within the population in which they’re operating. That is, a biobank in a particular country has to be representative of the population within that country, in order to ensure that certain groups of people aren’t left out of research or under-represented in the development of treatments. Imposing such conditions makes sustainability in biobanking a much more complicated issue because it’s not being left to the standard forces of economics. Has the function of biobanks changed over time as their importance in research has increased? How has that affected sustainability in biobanking? Initially, the function of a biobank was simply to collect, store and distribute materials. Research has now become a lot more international and a lot more transdisciplinary, and the role of biobanking has naturally changed to meet these needs. For instance, biobanks now provide ethical, legal and social services additional to the collection, storage and distribution of materials because they now have to harmonise processes across many different settings with different legal frameworks. Again, this is complicating the issue of sustainability in biobanking. How realistic is the idea of a self-sustaining biobank? A self-sustaining model is not feasible for the majority of biobanks, because they have to service the restrictions that are imposed on them by particular research needs. Having said that, biobanks should try to be as self-sufficient as possible. Research funding is cyclical: there are periods where there is a lot of it and periods where there is very little. As such, it’s really important that biobanks have a sound financial model in place, accepting of course that it is unlikely to cover all of the expenses and the biobank will need to have some institutional core facility support. For me, the most realistic model is somewhere in the middle, i.e. a biobank that is neither fully supported by an institution nor fully self-sustaining. There are many gradients in between, and I think most biobanks fall somewhere in there. How have the professionalisation of biobanking and the establishment of organisations such as ISBER contributed to sustainability? The professionalisation of biobanking has certainly been helpful. ISBER Best Practices, for instance, is now considered the premier handbook for setting up a biobank and has been translated into seven languages, with a global distribution.1 This has contributed to the harmonisation of practices by providing a common reference point. When it comes to sustainability, all this information should help a lot, but the horizon against which we can measure that will be a lot longer than we’re used to – I’m talking a ten- or 20-year period, which is far beyond the average four- or five-year period most funding bodies operate according to. It seems clear that new or more flexible funding and operational models are needed to support the growth of biobanks. What might these look like? Biobanks are the foundational infrastructure to generate knowledge. 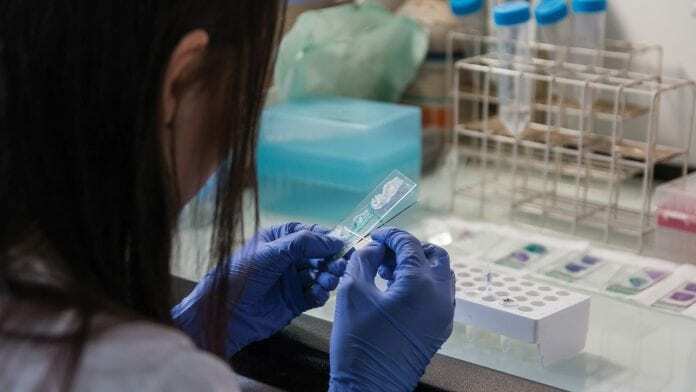 If it is the biobank’s mission to service a particular research question, then it can absolutely measure its impact in terms of whether or not it has managed to achieve what it said it would in terms of collecting, annotating and distributing material. But whether or not it has achieved what it set out to do in terms of the generation of knowledge – that’s a little more difficult to ascertain. Up until five or six years ago, it was entirely up to the authors of scientific papers whether or not they wanted to include biobanks in their acknowledgements. It was very difficult for a biobank to assert itself as a core facility that supported the work and to ask to be recognised as such. It’s only through a very long process of educating editors and researchers that that has now begun to change. So, to support growth, we need a combined effort that measures impact in terms of both servicing requests but also making contributions towards generating knowledge. What are some of the challenges around operational and social sustainability in biobanking? How do you think they can be addressed? There are many ways to answer that question. In general, there is very wide, well-documented support for biobanking. The overwhelming majority of the public are happy to enrol in studies and to contribute samples such as blood or saliva. The problem we sometimes have is that a lot of research tends to overpromise in terms of results. Results will happen, but they will take a lot longer to reach routine healthcare practice than a particular researcher might have promised. That then creates a disconnect with the public, who say, well, we’ve provided the material, where are the treatments that were promised? Of course, this is nobody’s fault: researchers have to work within a certain timescale and translating research into an actual product that can be used in routine healthcare is always challenging. Having said that, once you explain the process, the support is there. I think we’ve done a very good job as the biobanking community to explain to individuals who donate materials how useful those are for research, but perhaps we haven’t done as good a job at communicating how long it takes for that research to materialise into a potential treatment. At ISBER, we’ve always had a particular section of our membership that’s made up of ethicists and patient representatives, and we’ve been very sensitive to that group because the more input we have from them, the better our social interaction will be. Researchers can’t deliver any treatments by themselves, it will always be a group effort. We must acknowledge that.